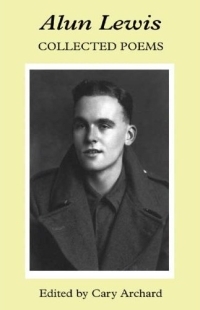 Alun Lewis is acknowledged as one of the best British writers of World War II. The impact of his poetry on the wartime audience was immediate: his two books of verse and a volume of stories went through several printings. This collection brings together his uncollected poems, as well as his books, Raider's Dawn and Ha! Ha! Among the Trumpets. The range of his concerns, his ability to respond to his situation, the exciting use of language and imagery marked him out, in the words of Dannie Abse, as an 'authentic, inventive literary talent.' This is the third volume in a uniform edition of his writings. His wartime Letters to my Wife (1989) and Collected Stories (1991) are also available. I often visit The Alun Lewis Page (uses frames!) when I need to re-read one of Lewis' poems, or place him into a context with Reed and other poets of the Second World War. It's a pity there aren't more such celebratory websites put together by fans of poets like Roy Fuller, Sidney Keyes, or Keith Douglas. Channel 4 does have a nice biography of Lewis in their Soldier Poets microsite. It would appear that the 2007 edition of Lewis' Collected Poems has already become unavailable on Amazon, but a quick AbeBooks search turns up not only that volume, but his Stories and Letters to My Wife, as well.